So what is a geek to do when he is faced with the choice of writing a blog, or playing a game that he is obsessed with? He blogs about his obsession! This is not really a review of any particular Assassin’s Creed game, as that is something I plan to go more in depth on at a later time. However, although it is not what I had originally planned to post this evening, this is by no means a throwaway post either. Though this is very candid to say, and some might say it is unprofessional to be so open about it, quite frankly I was not happy with what I had written for today, and rather than simply post complete, yet unsatisfactory work just to get content out there, I wanted to write about what was really on my mind. Something that I feel is worth sharing, that I feel is of respectable quality, and hopefully, makes for a bit of interesting reading. I have spent the better part of my free time this month playing through the various Assassin’s Creed games. I had long since finished the first game, and completed every achievement (including gathering those blasted flags). 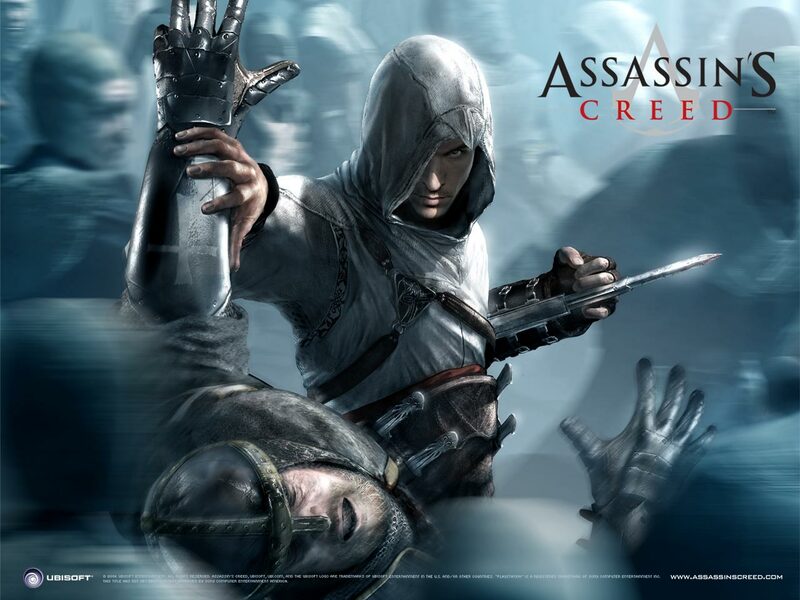 Despite its problems with too much repetition, I still consider the first Assassin’s Creed game to be quite awesome. Having visited the Holy Land in real life, I appreciated seeing it recreated in a game with such staggering detail, and the gameplay really felt fresh and exciting. The second game however, even though I loved it and played it quite a bit when it was first released, has until recently sat unfinished on my hard drive for several years. Realizing that I had now collected all of the sequels and hadn’t touched them yet, I made it my mission during this cold, snowy month, to plow through them. Having started from a fresh save file in Assassin’s Creed II, I immersed myself in the Animus. I am a huge history buff, and am also a travel geek. I especially love Europe and can’t wait to go back. Given those facts, it is pretty easy for me to get lost in the wonderfully rendered world of the Italian Renaissance. I also lose myself in the concept of exploring the memories of your ancestors; it is an absolutely engrossing idea, and would jump at the opportunity to do it for real. And since modern research is leading us to the conclusion that memory might be stored in DNA after all, it’s not as far fetched of an idea as it might initially seem. I finished Assassin’s Creed II at last, but at the ending, was left with more questions than answers. I immediately dived into Assassin’s Creed Brotherhood; while I was disappointed that it initially felt like a retread of everything that was done in the second game, I did come to fall in love with exploring Renaissance-era Rome, and by the end I was engrossed in Ezio’s and Desmond’s increasingly intertwining fates. Immediately after the completion of Brotherhood’s campaign, I moved onto Assassin’s Creed Revelations. I am still disappointed with many aspects of that game, and I think that is also where the story starts to get a lot weaker. It, to me, is a very telling sign that Assassin’s Creed games weren’t meant to be annual installments, but were being rushed out as such any way because of their smash commercial success. I know that different studios within Ubisoft get to work on different Creed games in an overlapping schedule, but I still feel that with games as big and complex as this, more time should be taken for polishing between installments. I point to the two year gap between games I and II as proof of this, as I consider Assassin’s Creed II to be one of the best gaming sequels of the last generation. I once read an article with an Ubisoft developer, prior to the release of Assassin’s Creed II, which stated that he didn’t want to see the franchise become a yearly installment, but I can’t seem to find it online as of this posting. Having quickly finished off Revelations, I am currently in the middle of Assassin’s Creed III, trying to burn though it in order to get to the Assassin’s Creed IV: Black Flag. I say that because I feel that game III suffers from lack of polish even more than Revelations, and is proving to be a frustrating experience. It’s too bad, because I do find the time period of the American Revolution to be fascinating, and I loved the idea of playing as a Native American (a Mohawk, specifically), but the execution is really lackluster. It’s still enjoyable, by and large, but far from the bliss I experienced playing as Ezio in game II. So yes, instead of polishing the continuation of my feature on The Matrix, and despite the disappointments I have experienced, I have been obsessed with Assassin’s Creed. So what’s a geek to do but blog about it? After all, this humble site is all about the long running RPG we call life. It’s about what makes us geeks tick, and for me right now Assassin’s Creed is what has all the gears in my head spinning away. See you next week!